On November 9, 2016, the morning after the Presidential election, I posted this to my Facebook page. It was a cloudy and quiet morning in my Bronx neighborhood and I felt an overwhelming wave of sadness. No one knew what to expect, what was coming, not even me with all my years of organizing experience. But, I also didn’t know that an opportunity was brewing, and I would answer the call of justice. As the new year fell upon us, anxiety began to build, and became magnified with the Presidential inauguration and a barrage of executive orders. One after the other, Executive Directors of nonprofit organizations, present at an FPWA Executive Directors Roundtable, expressed their uncertainty for the future of the nonprofit sector and their fears for those they served—communities filled with individuals and families that are too often isolated, neglected, and struggling in a world where poverty has become the filth that gets swept under the rug. Future funding was unstable as New York City emerged as a Sanctuary City, resources and services could not keep pace with the need, and we all wrestled with a political frenzy that had no compassion for the many faces of humanity. By the time I left the meeting, my heart was racing and pounding with a sense of urgency to support organizations in this time of need, in this time of trauma. And just like that, I knew we had to do something to address the trauma present for individuals, families, and community organizations. 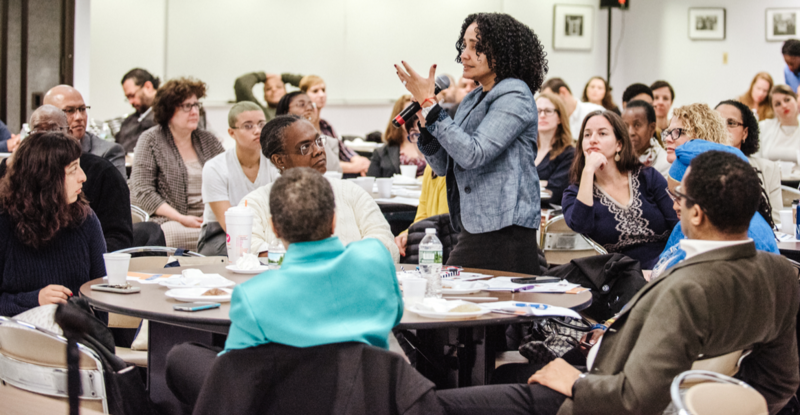 So, together with an FPWA staff team, we launched the Courageous Conversations Conference to explore nonprofit culture and trauma-informed service delivery. The inaugural Courageous Conversations 2017 scratched the surface. I realized that too many of the people we needed to fight alongside us were frozen by their fear and brokenness, triggered by a system that had stripped their value and left them traumatized, stagnant in an unrecognizable state of constant crisis, and angered by the scraps they were forced to fight over in the darkness. And as organizations, we needed the tools, the courage, and the inspiration to heal the suffering in a way that restored dignity and prepared people to confront injustice on a personal and systemic level. Building on the lessons of 2017, Courageous Conversations 2018 emerges deeper, stronger and bolder. 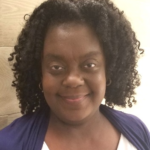 With a focus on Women of Color, Nonprofit Organizations and Faith Institutions, Courageous Conversations has expanded to a conference and leadership series which delves into poverty and its chronic and cyclical trauma on individuals, organizations, and communities. The journey of Courageous Conversations will also bring new voices and strategies together to move forward and create intentional action-oriented healing spaces so that our communities are warriors on the front lines, rallying, creating, and being justice.